Want Less Stress + More Joy? What if you could discover ways to relieve stress, negativity and overwhelm, especially when life throws you a curve ball. What if you could start creating a life filled with more joy, happiness, vitality, fun and even play? Well you can, and it’s completely FREE! Register now for the Joyful You Summit! I have joined with Catherine Walters, host of an upcoming video series called Joyful You, in a discussion of the numerous ways life can be challenging and stressful, and the tools and techniques to create a life and lifestyle filled with JOY. My comfort zone is writing, but I pushed myself out of my zone to chat with Catherine. We talked about the journey from depression to a joy-filled life. Your life filled with more joy, happiness, vitality and fun is possible. 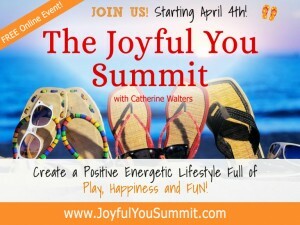 Join The Joyful You Summit to make your life the life of joy you deserve and be a Joyful You! The Joy begins April 4th! Let’s get the obvious out of the way first: If you love your job, it’s easier to smile as you trot off to work each day. On the flip side, if you describe your job with words like despise, you may want to look for more enjoyable work—something closer to your purpose or passion. No matter where you rank on the work-happiness scale, there are things you can do to be happier at work. 1. Wake up earlier. You are thinking, “Are you kidding me?” Nope. 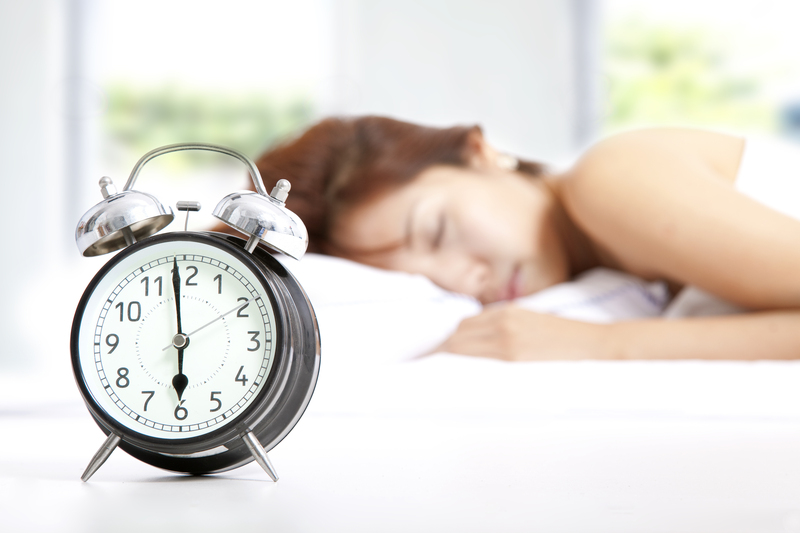 Getting up earlier will allow you some you-time before you herd the kiddos, pack lunches and fight commuter traffic. Take time when the house is quiet. It may require practice to get up earlier, but you will give your mind some breathing space to enjoy the sun coming up, an early walk, a cup of coffee, a good book, or a conversation with your spouse before the day gets going. 2. Do what you dread most, first. Get the dread off your plate by conquering it first. Just knowing there’s a project or task you don’t want to do can bring you down. Go after it first thing, so you no longer have to think about it. Plus, it can fuel your momentum for the day. 3. Don’t dwell on the negative. According to happiness expert, Sonja Lyubomirsky, author of The How of Happiness: A New Approach to Getting the Life You Want, unhappy people are more likely than happy people to dwell on negative events. Dwelling or rumination can drain your mental resources and reinforce unhappiness. Avoid negative people, gossip and drama. Don’t replay negative experiences. Dwell on aspects of work you like. Read the rest of my article: 8 Ways To Be Happier At Work on Live Happy. These titles will make you reflect, say yes and choose joy in the year ahead. Our preview of 10 carefully selected books will help you craft a happier life filled with small moments of meaning and the occasional flash of triumph. Step out of your comfort zone and make 2016 a year to thrive. Check out the 10 books to change your life in 2016 on Live Happy. If you had the choice to spend the day with someone who exudes happiness or someone who has a martyr thing going, it wouldn’t be a tough decision, right? How about your super upbeat friend vs. your chronic complainer friend? Not a challenging choice there either. Spend time with someone who exudes positivity, and you are more likely to feel positive. Hang with someone who acts like life’s number one victim, and guaranteed, Debbie downer is going to rub off on you. It’s called emotional contagion, and it means the emotions of others can influence us. So if happy people make other people happy, why is it that happy people are sometimes thought to be selfish? Happy people are taken for granted because they are thought of as naturally happy people or born happy, yet upbeat people have to work at being resilient, bouncing back, rising above, and staying positive. The outside world only sees the happy person and not the effort behind the scenes, so positive people don’t receive credit for creating their sunshine-like dispositions. “Happiness is a work ethic. You have to train your brain to be positive, just like you work out your body,” writes Shawn Achor is his book, The Happiness Advantage. While we all might desire the kind of holiday perfection we see in a TV movie or all over Pinterest, we will inevitably fall short. We live in the real world, after all, not in the movies or someone’s whitewashed home-crafting highlight reel. It can be even harder to make holiday magic when you know you have a truly dysfunctional family. We turned to a few of our experts to find out how you can enjoy your holidays without letting the humbugs ruin your plans. And Pat Pearson, clinical psychotherapist and author of Stop Self-Sabotage, says it’s important to remember that, come holiday time, no one has changed. People on the whole stay who they are. So, what do you do? Don’t use holidays as a time or place to repair old childhood wounds, Connie suggests. With difficult family, keep conversation simple. Don’t start a debate or get drawn into their drama. If you can’t answer without wanting to lash out, then just excuse yourself from the conversation and don’t come back. Don’t apologize, defend yourself or make excuses. Just hang near the people you like and that like you. Also, don’t forget to breathe.